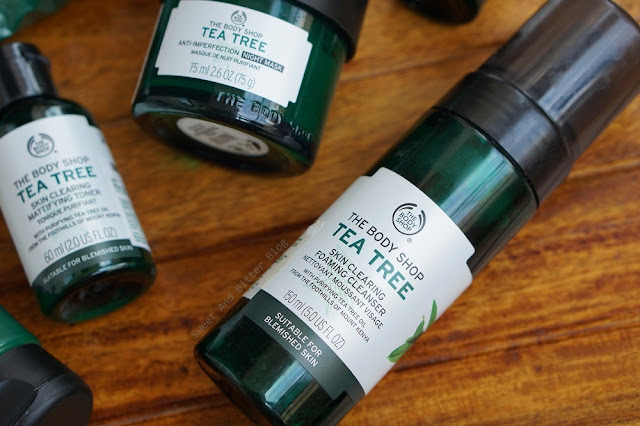 One of my favorite products from The Body Shop is the Tea Tree 3 in 1 Face Wash, Scrub, Mask. I love it as a mask, and it pulls out white heads that are under the surface like a champion. 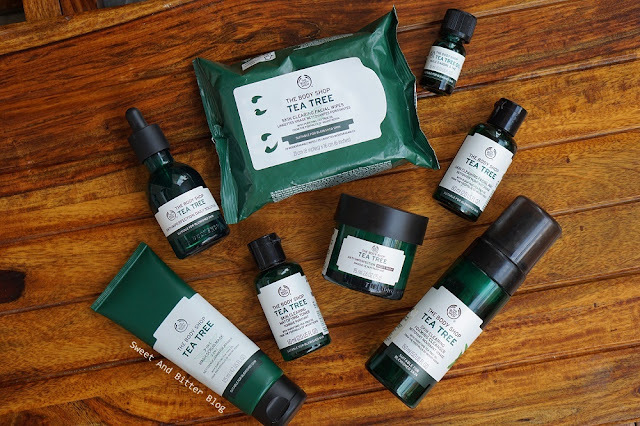 Tea Tree is one of TBS's bestselling range with organic Tea Tree from Kenya. Skin clearing: Basic everyday skincare with face wash, wipes, and toner. Anti-Imperfection: Special care skincare with the daily solution and sleeping mask. But, what I love most is TBS 3-in-1 Wash Scrub Mask. 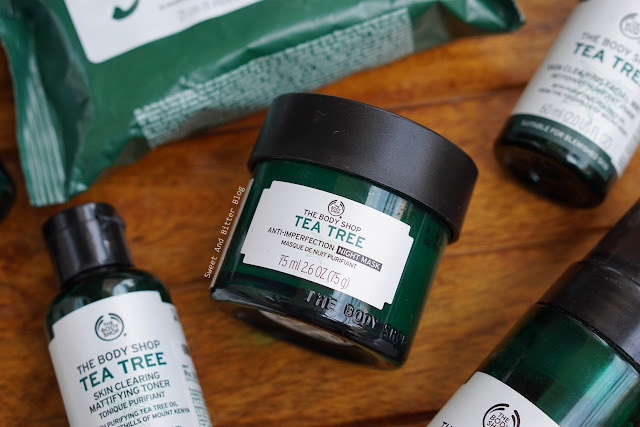 The Body Shop Tea Tree 3 in 1 Wash Scrub Mask: Let's start with my favorite. I love my facemasks, and when they can be used as a scrub as well, it is just awesome. It has a nice cooling effect. I highly recommend this one for acne prone dull skin. I highly recommend this one. Please read the complete review here. 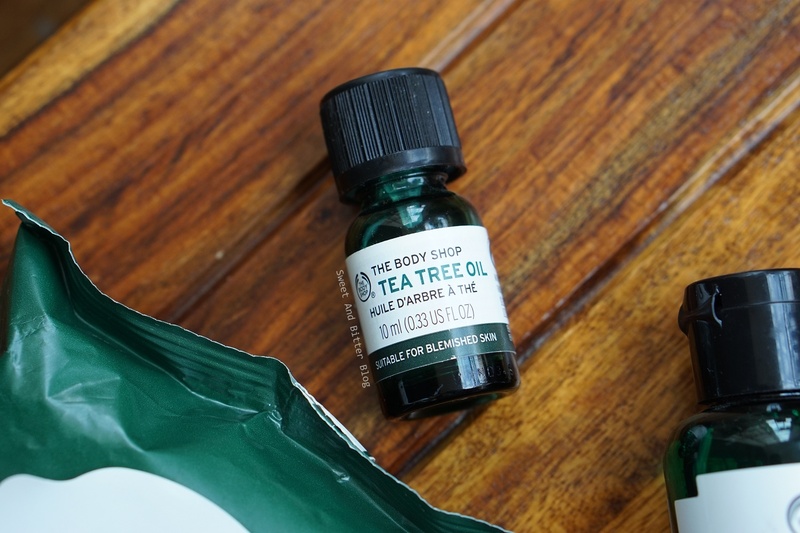 The Body Shop Tea Tree Oil: It has a 15% concentration of Tea Tree Oil. It will not burn up your skin but it is still strong. So, be careful if you have sensitive skin. 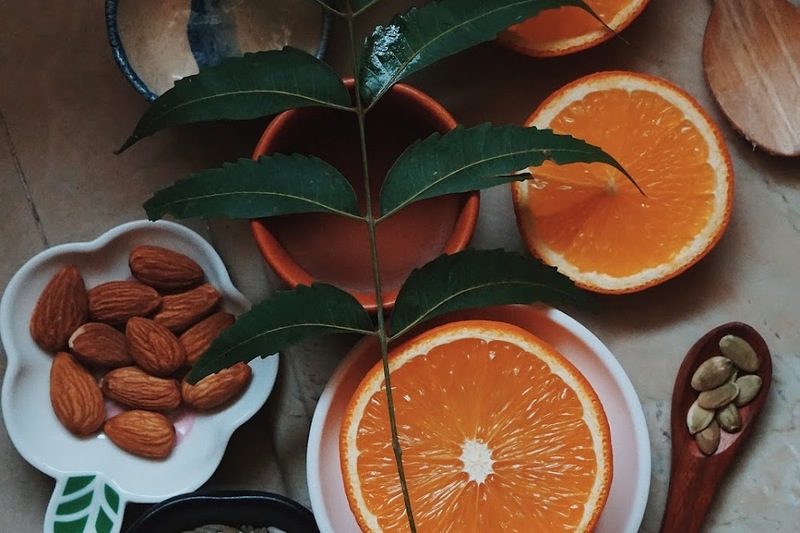 It works best as a spot on treatment for acne that is about to pop-out. I have not got help with this on scars or old acne. The best way to use it is soap a Q-tip with this and apply directly on the new acne. 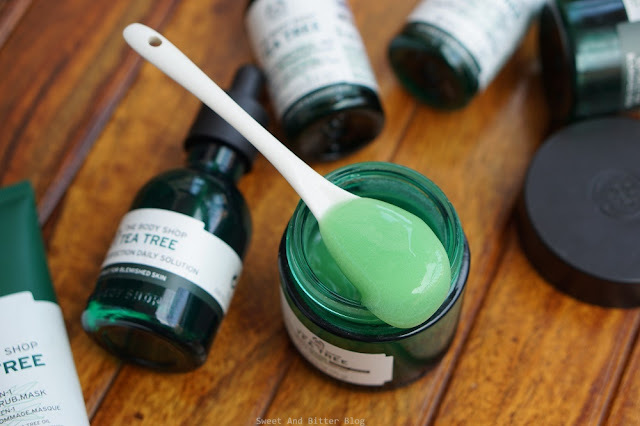 If you have sensitive skin, then soak up the Q-tip with clean water and then add a drop of tea tree. 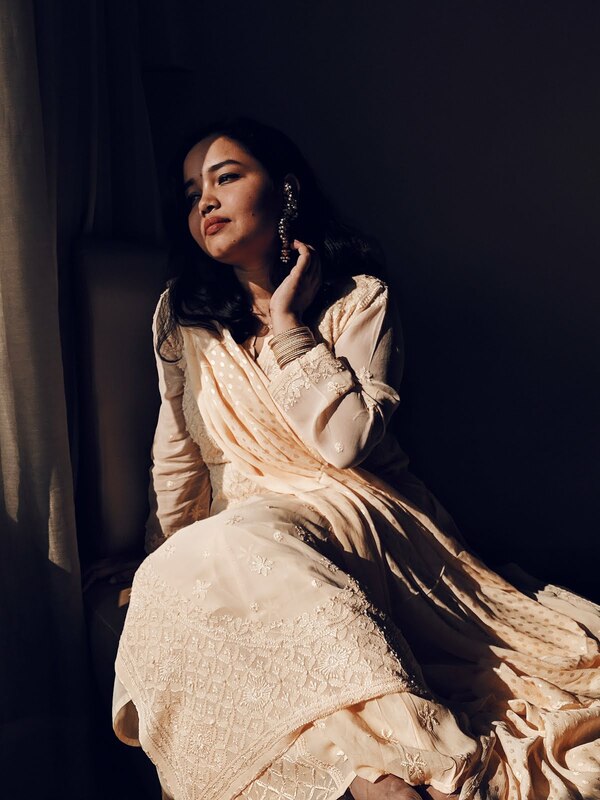 I also mentioned it in one article four years back here - favorite anti-acne products. The Body Shop Tea Tree Anti Imperfection Daily Solution: If using Q-tip and all sounds cumbersome to you then here is an option. Read the full review here. 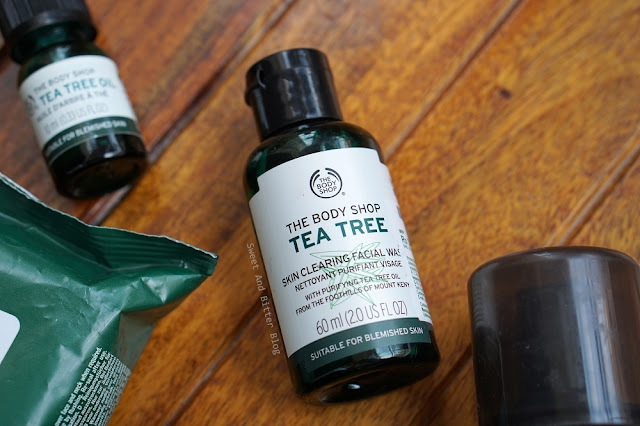 The Body Shop Tea Tree Skin Clearing Facial Wash: Contains SLS but super refreshing. I love to use it during travel so could not say no when I saw the travel size one. I took it with me when I went home last week, and it is in Kolkata now. So, will be using there. Again, I am not in favor of using SLS face wash so, this is never going to be in my permanent skincare routine. 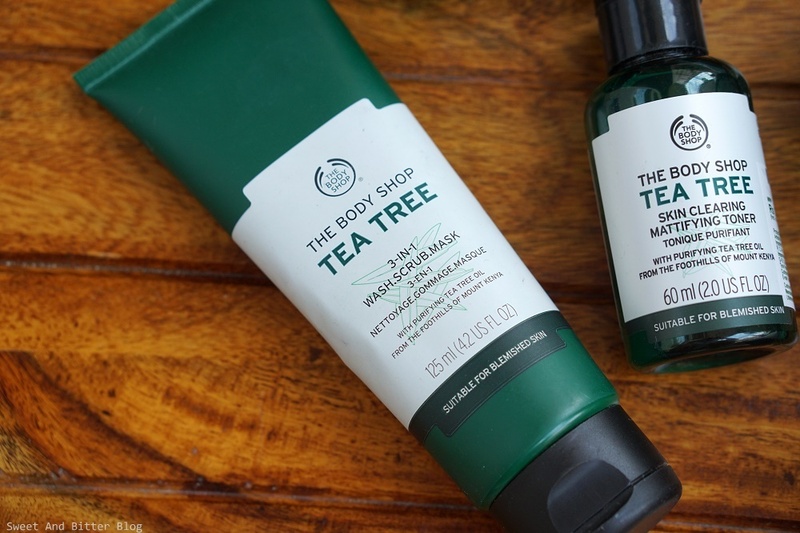 The Body Shop Tea Tree Skin Clearing Foaming Cleanser: If creating foams makes you lazy then there is a foaming cleanser for you. Also, this is much more gentle and non-drying when compared to the facial wash. 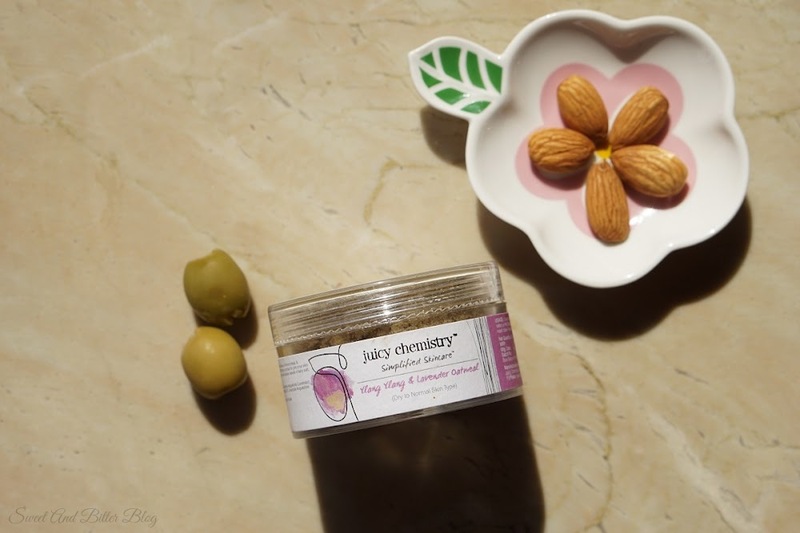 I will recommend this for acne prone dry skin or if you wish to try this in winter. 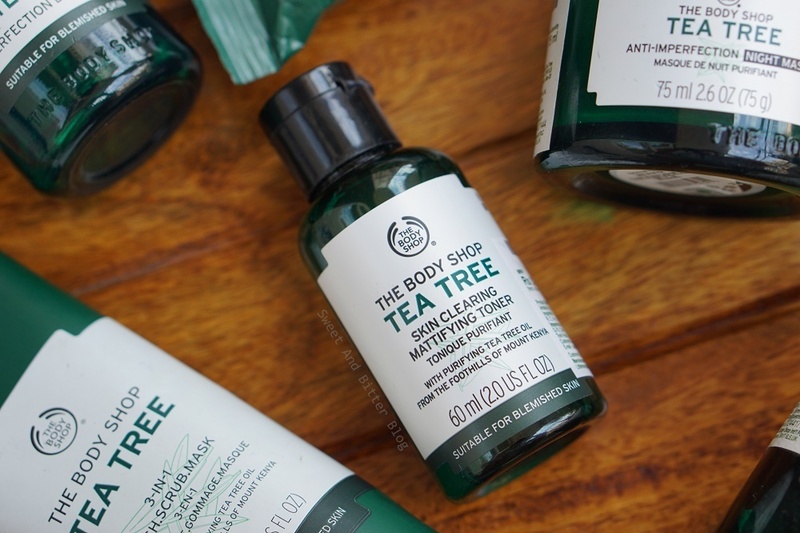 The Body Shop Tea Tree Skin Clearing Mattifying Toner: A no-fuss alcohol toner which does the job. I used to like it. When I started other expensive toners like La Roche Posay Astringent or even the Pixi Woo, I almost forgot about it. 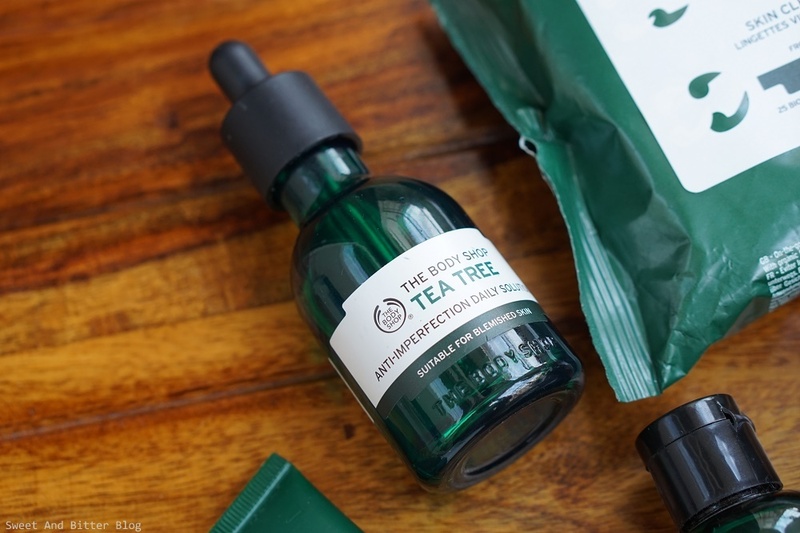 It does include tea tree which protects but does nothing to add glow nor does it micro-exfoliate. I got this travel one along with the face wash in a kit. 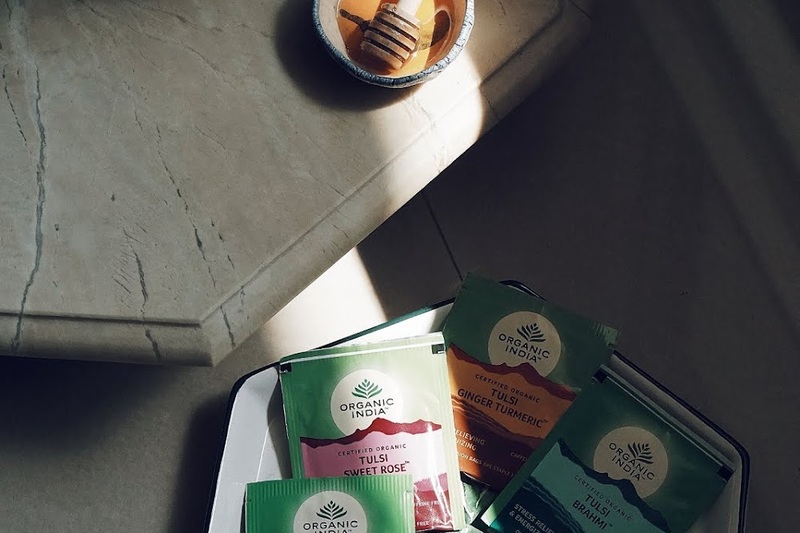 The Body Shop Tea Tree Skin Clearing Facial Wipes: Got it a sale but used only three of them so far. The Body Shop Tea Tree Anti Imperfection Night Mask: This has a bouncy texture like most sleeping mask. Not much impressed but found it okay. Nothing to write a song about. Now, I have told you my favorites. Tell me yours? Is it the 3-in-1? Oil?